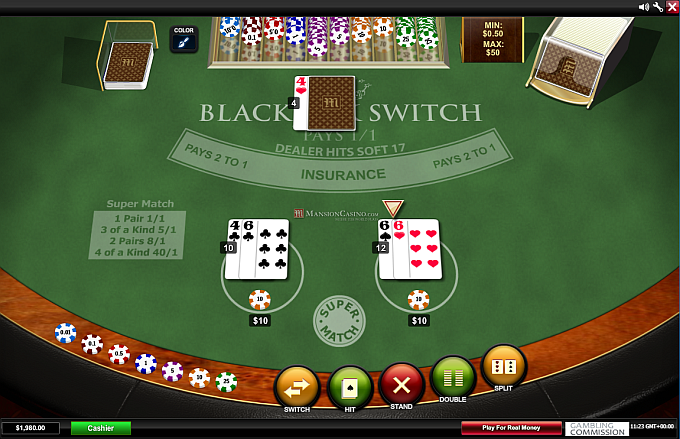 While Playtech offers some standard blackjack games, there are also some unique offerings in the Playtech software suite. These include a non drawing game and some interesting side bets. All drawing blackjack games have a Seven Card Charlie. This means that if a player draws to a total of seven cards and does not bust, the player will automatically win the hand. 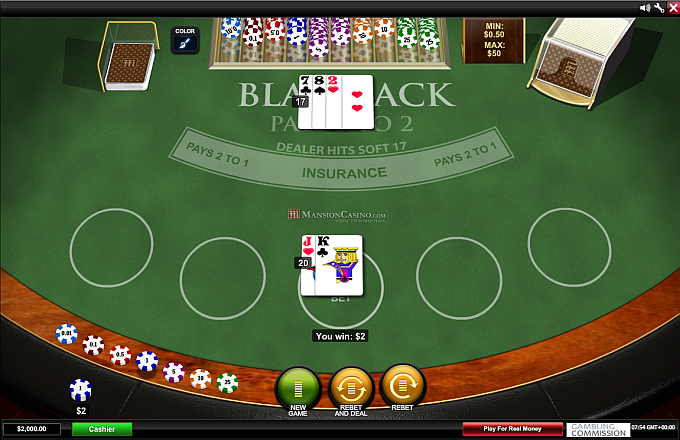 There are several playing options on Playtech blackjack software. These options include the ability to turn off animations for a faster game, change the speed of the deal, changing card sizes, and turning off warnings. These warnings include software pop ups that will ask you if you are sure that you want to split, hit, or stay in certain situations. All Playtech blackjack games have a minimum bet of $2 and a maximum bet of $100. 21 Duel is a unique blackjack game. 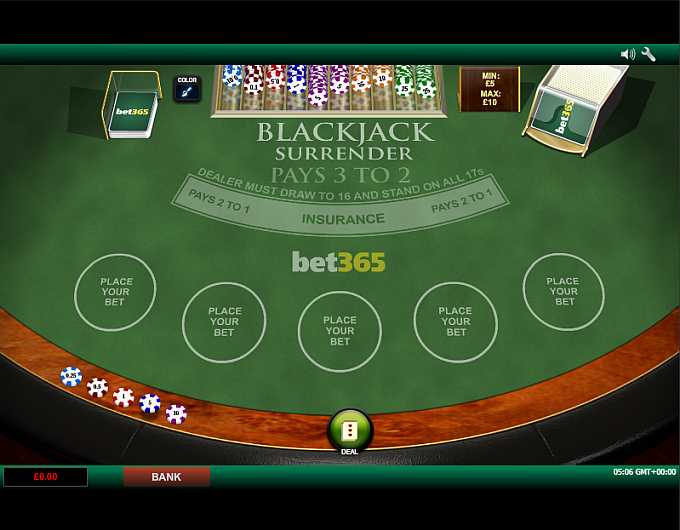 Players may choose between one player and three player tables. A player makes a bet but will need to have at least the amount of the bet in their stack because the player must double the original bet if they play the hand. Players are dealt two cards, with one up and one down. Two cards are dealt face up in the middle of the table. The dealer is then dealt two cards face down. 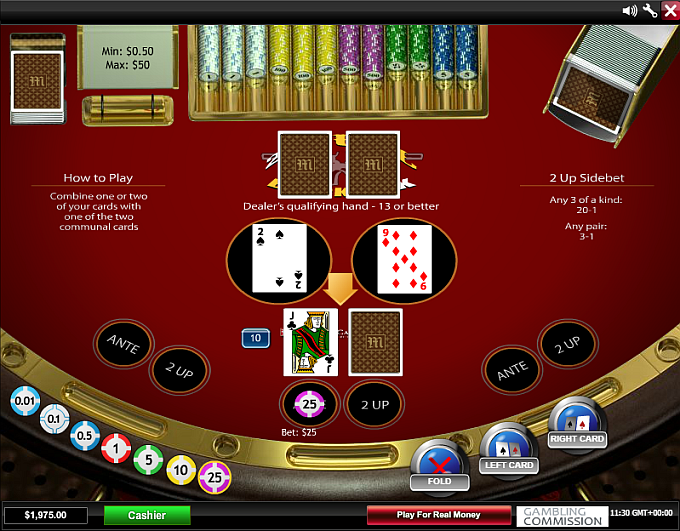 The player then has the choice of folding or playing. If the player folds they lose their original bet and a new hand is dealt. If the player decides to play, they will pick one of the two cards on the table to use with their up card. The player will then have the option of hitting or standing. If the player hits, their down card is flipped up and that is their double down or hit card. The player must stand at that point as there are no hits after the player’s down card is included in the hand. If the player stands, the player’s down card is discarded and does not play. 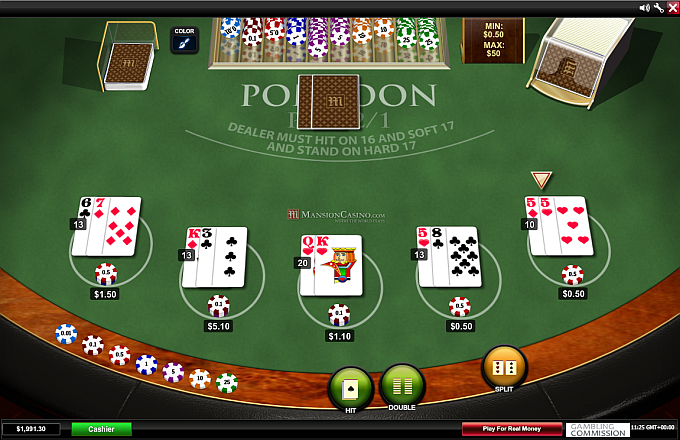 Once the player has acted, the dealer then acts. The dealer chooses one of their down cards and places it face up. The dealer then chooses which card on the two card board to combine with their up card. The dealer stands on all 17’s. If the dealer does not have 17 or better, the dealer will flip up their second down card and use it to make a three card hand. The dealer must have 13 to qualify. The player must beat the dealer and ties push. If the dealer does not qualify, the hand is a push. The dealer will qualify in almost every hand. 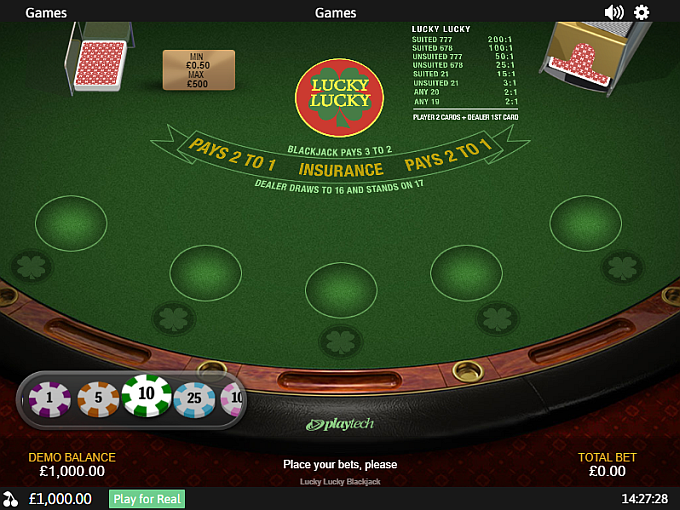 If the player makes a blackjack, the player is paid even money. 21 Duel has a side bet called 2UP. The player will combine their up card with the two board cards. If a player makes a pair, they are paid 3-1. Three of a kind pays 20-1.